We spend our lives hearing stories of valiant and courageous superheroes with magnificent powers that they use to defeat their enemies. Yet, we never hear or learn of the creatures that actually are gifted with superhero abilities. There are billions of creatures on Earth and though humans haven’t been chosen for super powers, some animals have. Immortality, impossible healing, and many other powers exist within the animal and sea life populations. The hippopotamus is a creature native to sub-Sahara Africa. It is known for its status as one of the deadliest creatures in Africa and its ability to swim high speeds (up to 30 mph). However, it has a rare ability that is little known. Due to the drastically hot temperatures in Africa, the hippopotamus has the rare ability to secrete a blood red, gelatinous substance. This secretion is unique in its abilities to act as a strong sunscreen as well as a antibiotic, allowing hippos to survive in extremely harsh conditions. 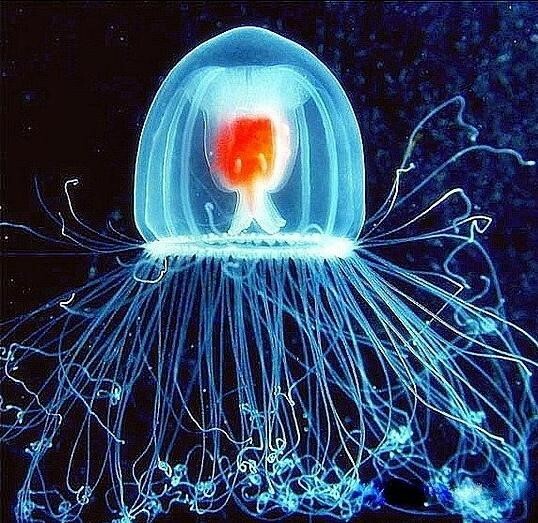 A species of jellyfish called the Turritopis nutricula is the only creature known to possess immortality. Once it reaches full maturity, it is able to transform its cells into new ones and return to the polyp stage, a process called transdifferentiation. It essentially grows into adult and then returns to being an infant, and it can do it for an unlimited time. The axolotl, also known as the Mexican walking fish, is a neotenic salamander. Though it may look strange, it has super healing powers. If it loses a limb or is cut, clotting and coagulation immediately begins, and the creature is able to immediately begin regeneration. It only takes a couple months for it to have a new body part that is filled with the same nerves, muscle tissue, etc. It is commonly studied for these rare abilities and its ability to even regenerate parts of the brain. Though the platypus is an adorable creature that looks like the combination of a beaver and duck, it has several rare abilities. It can use its bill for electrolocation, making it easy for the platypus to find prey. It also has the function to poison other creatures due to the barbs on its legs, making this creature an efficient hunter and killer. We all have wished superpowers existed in our lives and it turns out they do. All around the world there are creatures that have abilities humans can only fantasize about. These are just four out of the hundreds that are gifted. Therefore, any time you are moping about the fact that superheroes don’t exist, just get online and see all the ones that do. Who knows, with the advancement of technology in the coming years and the research being done with these creatures (particularly with regenerative abilities), humans might just discover how to give themselves powers.